How often should I stir the High-Density black ink in the ink tank? 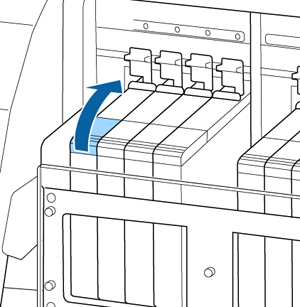 To prevent sedimentation and incorrect colors in your printed media, stir the High Density Black ink in the ink tank once a week. 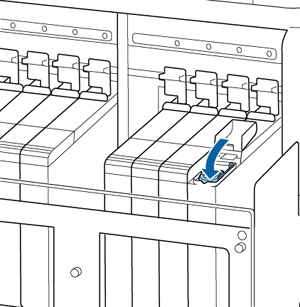 Open the ink inlet cover for the High Density Black ink shown here. 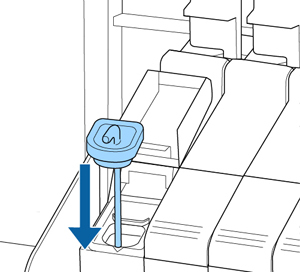 Grasp the loop at the top of the ink inlet cap and slowly remove the ink inlet cap. Move the stirring stick up and down 15 times. Insert the stick completely into the ink tank and raise the stick up to the top each time. Move the stick slowly and steadily, or ink may splatter. Press the ink inlet cap down firmly. 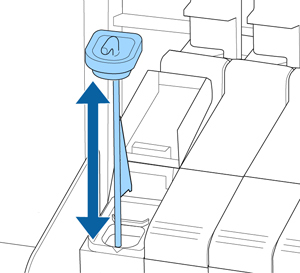 If the slider comes into contact with the ink inlet cap when pulling it out, the cap could get damaged. Close the ink inlet cover.